Nesreen decided not to allow the political forces around her determine her life. Having fled the war in Syria after its start in 2011, the mother of five children came directly to Amman, and settled in Hashemi Shamali. Her husband left for Saudi Arabia and was subsequently refused re-entry to Jordan when he tried to return. “We are divorced now,” Nasreen says, explaining that all of the responsibility to care for her family are now on her shoulders. Some of her older children left Jordan and crossed onward to Turkey; one son even made it to Austria. “We were hoping to be reunited with him in Vienna, but as he was no longer under age when he arrived, the Austrian authorities refused a family reunion,” she says, looking down at her hands. The separation of her family and not being able to see children is hurtful. Resettlement chances for refugees in Jordan are getting worse and worse. Female-headed households face extra disadvantages. You can help them to receive the extra support they need with your donation. “The main challenge,” Nasreen says, “is having two roles. 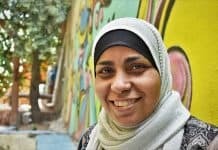 I have to be mother and father at the same time.” At the beginning of her time in Amman, Nasreen’s children were working to support the family financially. 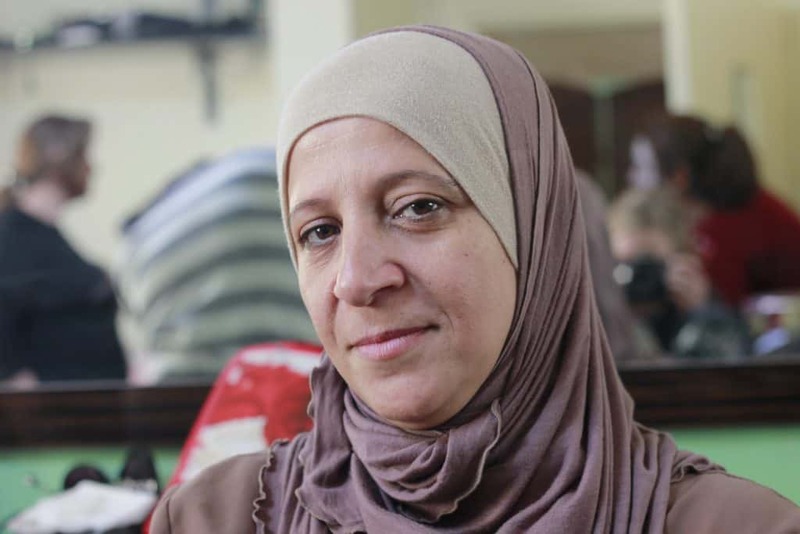 “But then, UNHCR insisted on sending my underage child back to school,” recalls Nesreen. When asked about how the family supports itself she shrinks, “We try to sell small things I produce at home, accessories for example,” she says. But the money is never enough. In addition, Jordanian laws restrict work opportunities for refugees in Jordan. Providing for your family as a single parent is difficult everywhere. 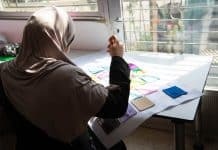 But family separation as a cause of their flight causes extreme challenges for refugee women in Jordan. Cut off from their family support network, and without a husband as the main breadwinner, single women are often driven into debt and social isolation. The latter is something Nasreen was especially suffering from. Most refugee members of our community are hoping for resettlement—or at least the chance to visit their family abroad. “My hope is to see my son again in Vienna, I haven’t seen him in four years” is therefore Nasreen’s strongest wish for the future. CRP provides a space where women can take a breath from their responsibility as the only providers for their families. 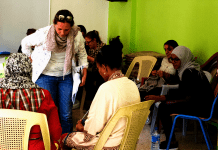 Being together with other women in similar situations and being able to learn new skills helps them find a sense of purpose in their life while waiting. Donate here to support this space of empowerment for women. And good news! When you donate this week, a group of generous supporters will grant CRP an extra $50!